Open reader view NVLD Anyone? 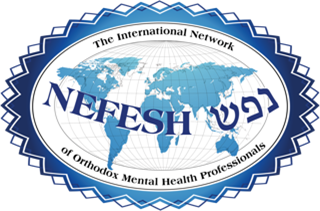 I was recently at a meeting at my son's yeshiva and was told that my son should be evaluated by a neuropsychologist. When I asked why, the principal suggested that he should be tested to see if he has a nonverbal learning disability. I have scheduled an appointment, but was curious what this condition is, how it would present with a frum boy in yeshiva, and what can be done about it. I am looking for practical suggestions that can work within our system. I don’t believe that nonverbal learning disorder (NVLD) is an official disorder. In addition, since learning disabilities are not my specialty, I can respond only briefly and generically. As I understand it, the term “nonverbal learning disorder” refers to trouble understanding and interpreting nonverbal communication. This manifests largely in areas of social interaction. Someone with NVLD may have trouble picking up on body language, facial expressions, things like sarcasm, and other areas of nonverbal interaction. You didn’t mention whether you were given specific concerns with regard to your son’s social and school performance. You didn’t identify any concerns that you, as a parent, may have discerned. I imagine that the principal has a particular reason that he could specify that leads him to feel that a neuropsychology consultation is a good idea. Did he discuss this with you? Did the principal come to this conclusion on his own? Did he speak with individual teachers? Was there a faculty meeting to discuss specific concerns? If so, were you invited to attend? If you weren’t, were you made aware of the discussion? Is there a professional who works in the school who has dealt with your son, or who has spoken with his teachers? If, in fact (as I believe), NVLD is not identified as a disorder, many professionals are likely not familiar with the term. This makes it all the more important that you have a good grasp of the specific concerns that the principal is referring to. Rather than seeing a professional and telling him that your son need to be evaluated for NVLD, you should be able to focus on the particular issues that your son appears to face. Regardless of the outcome of an evaluation, you should be aware of any issues that the school believes your son faces. Understanding any struggles that your son may have is essential in order for you to help him to overcome them. Also, a professional will likely want a full history, including information on your son’s social interaction (in and out of school) and any trouble that he has with regard to learning. We tend to get hung up on titles and terminology. When we emphasize a particular term or diagnosis, it can be difficult for us to properly focus on the issue at hand. If you can get a clear sense of any issues that your son may have, it will be easier for you to help him to deal with them.